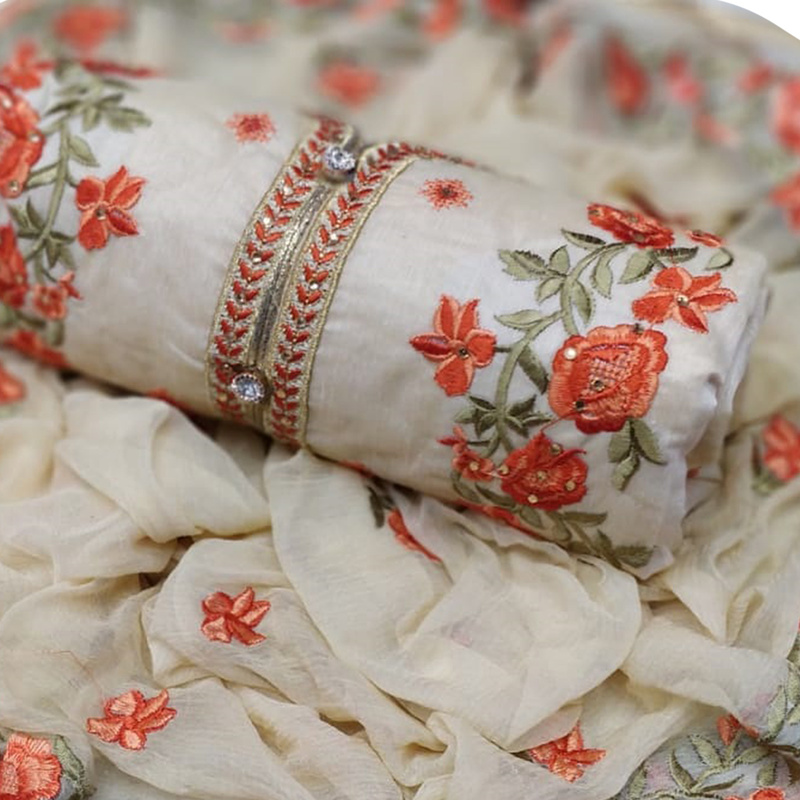 Add richer looks to a persona with this off white - orange colored chanderi silk dress material. 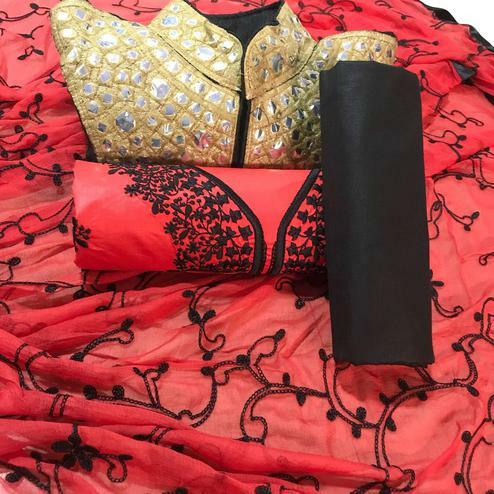 This partywear suit comes along with unstitched santoon bottom and lining with chiffon lace dupatta. The beautiful suit uniquely crafted with lovely embroidery work which makes this dress perfect for a woman. Women can buy this suit to wear for their upcoming homely functions, parties, kitties, weekend get together. 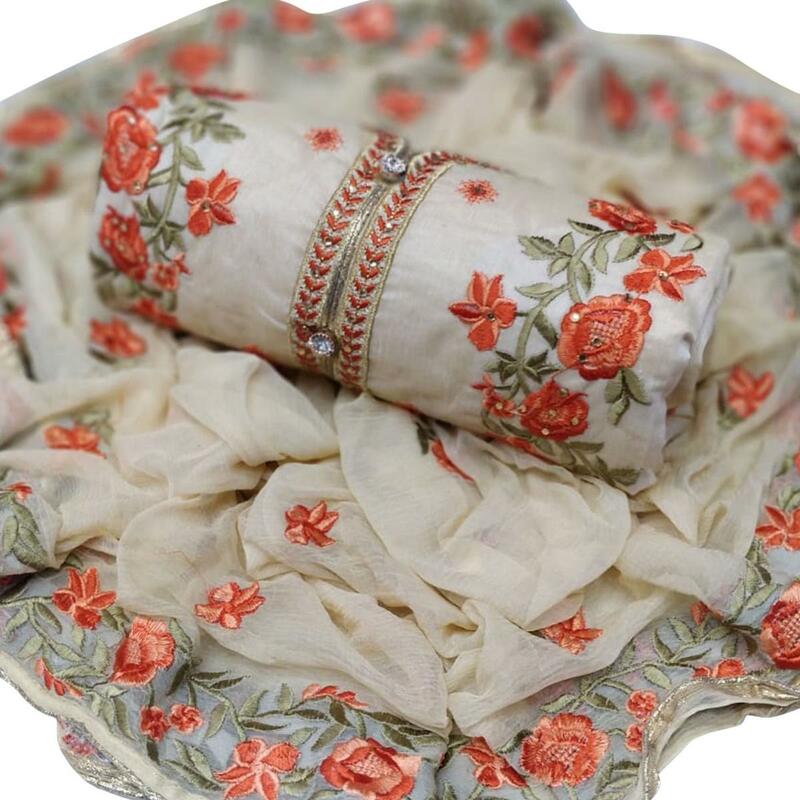 Get this unstitched suit stitched into churidar or salwar suit according to your fit and comfort. Grab this suit now as it's easy to maintain and comfortable to wear all day long. Team it with stylish accessories to make your looks more beautiful. Note:- The actual product may differ slightly in color and design from the one illustrated in the images.